Sugar Bay Barbados, brings a new 4* all-inclusive concept with its charming, boho-chic style. Set on 5.5 acres of stunning beachfront with 150 metres of beach and a tranquil ocean lagoon. Sugar Bay is ideally located in a UNESCO World Heritage Site, the Historic Garrison and only 10 minutes from the capital, Bridgetown. 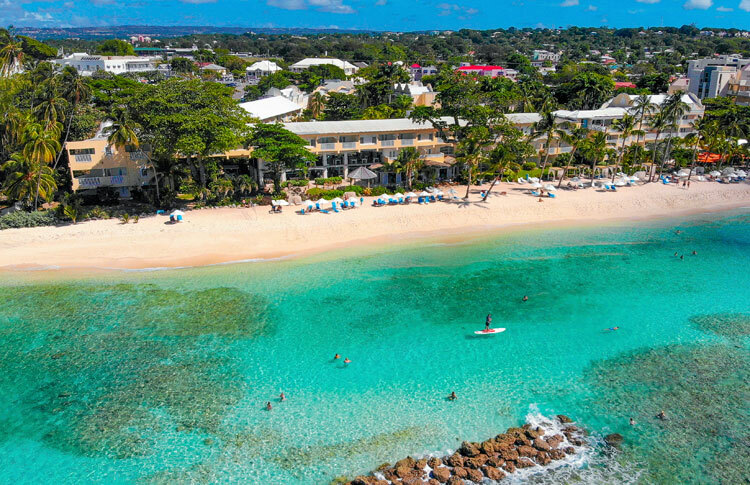 Please note that from 01 Apr 2019 the Government of Barbados have implemented a mandatory levy of USD9.63 per room per night, which will be payable locally at the hotel.